Subramaniapuram (Subramaniyapuram), சுப்ரமணியபுரம், is a Tamil language Indian feature film produced and directed by Sasikumar. 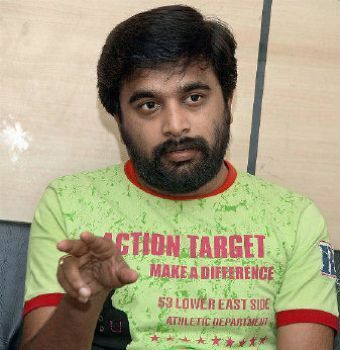 Sasikumar cast the actors Jai, Swathi, Ganja Karuppu and himself in the film. The story is about friendship, love and betrayal of both. It deals with the exploitation of unemployed youth by politicians. M. Sasikumar M.Sasikumar is a tamil film director, actor and producer.He has created a new trend set in tamil film industry with his first movie 'Subramaniapuram' in 2008.A 100% realistic movie praised for the way it authentically resurrects madurai in the 80's. Basically from Madurai, Sasi spent his childhood in kodaikkanal and did his bachelor degree in Business Administration in madurai. Later, he met director Bala through his uncle and he worked as an assistant director for Director Bala in Sethu. Then, he got to know Ameer and assisted him in Mounam Pesiyathey & Raam. He finally decided to direct and act in his own movie under his own production in 2008, 'Subramaniapuram' which is a simple tale about group of young cool guys in Madurai during 1980 who have worries to care about their future lives. His first movie being a big hit, now, he is certainly one of the promising young director in Tamil film industry. He is not only a good director, but also a good actor. He has proved that through his roles in 'Subramaniapuram' and in 'Naadodigal' (2009) directed by Samuthirakani which is also a super hit. Apart from that, Sasi has produced his first movie and also another one, 'Pasanga' (2009) directed by debutant Pandiraj. Recently, Sasi won the best director award in Univercell Vijay Awards 2009 for the big hit 'Subramaniapuram'. He is going to start his next venture mostly in august 2009, which also casts maximum of new faces.